Palavras para quê... com uma equipa de colaboradores assim, as NEWS estão simplesmemte imparáveis ;) Depois do report de Txema - publicado mais em baixo há escassos minutos onde nos confirma a passagem dos portugueses para este domingo - Tim Harvey, PARTNER kayaksurf.net, envia-nos esta fotos fantásticas do dia de hoje. Luxo!! 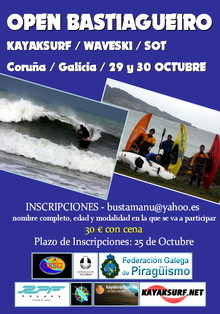 Campeonato de Kayaksurf de Mundaka / Os 3 portugueses passaram para as finais de deste domingo!! 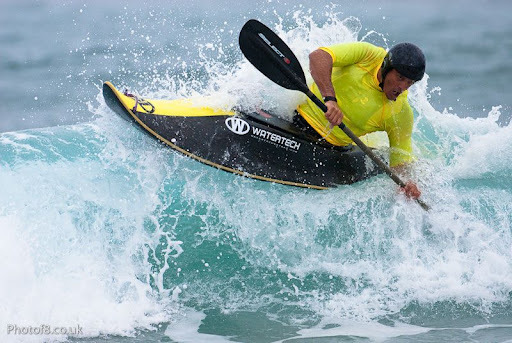 Txema Carreto confirmou-nos que estão 60 inscritos no Campeonato de Kayaksurf de Mundaka... MUITO BOM!!! O swell de hoje esteve baixo e a prova decorreu em Bakio. Surpresa... os três portugueses em prova, Bruno Melo, André Pinto e Miguel Carvalho passaram às finais de amanhã!!! PARABÉNS PORTUGAS!! E Bruno Melo ainda tem a classe Master para disputar amanhã. Vamos ver como corre! 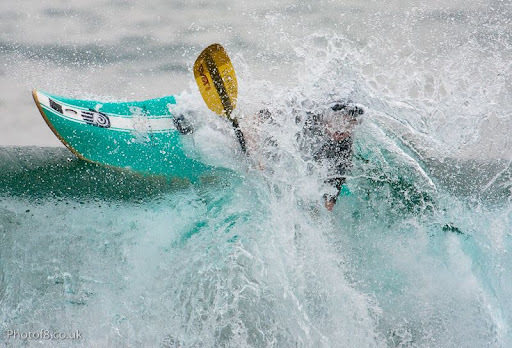 Decorreu em Bude, Black Rock (SW da Inglaterra), mais uma prova inserida no intenso circuito inglês de kayaksurf. 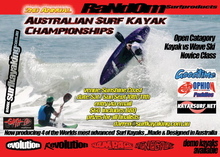 John Watson - NEWS TEAM kayaksurf.net - envia-nos o report competo com todos os resultados e fotos de Pete Copp. Small surf and sunshine lasted throughout Saturday. 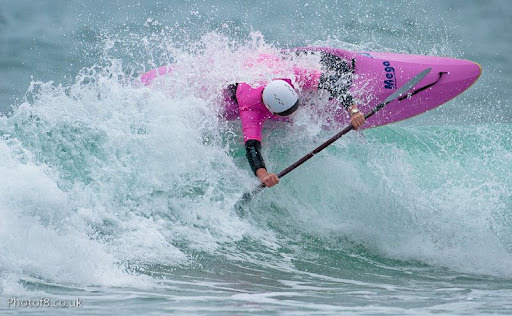 45 kayak surfers all took part in 3 rounds of 10 heats, before semi-finals and a final for the top ranking positions in the short boat open class. Congratulations to Steve Chivers, who took his first win in the main event. This now means the last 8 men's high performance contests (throughout 2009 and two so far this year) have been won by different people! 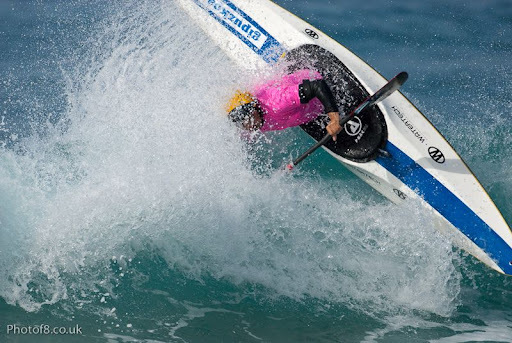 Sunday then became available for the Junior and Masters classes, as well as the Men's long boat. 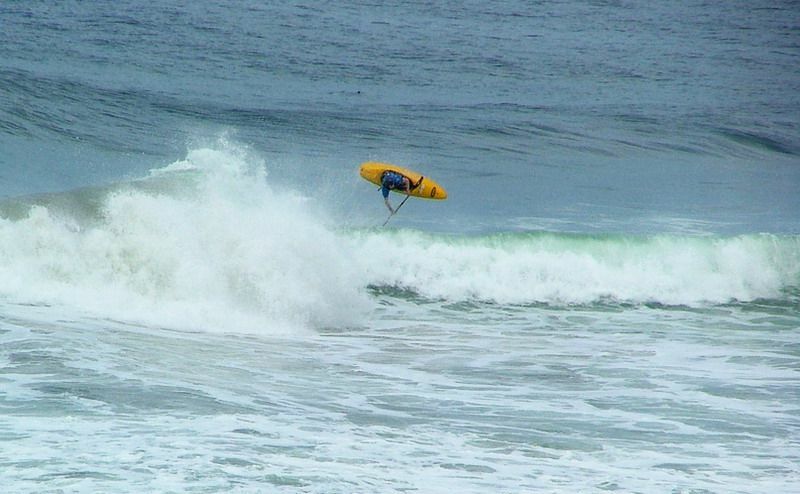 Conditions were larger, but affected by an on-shore wind. 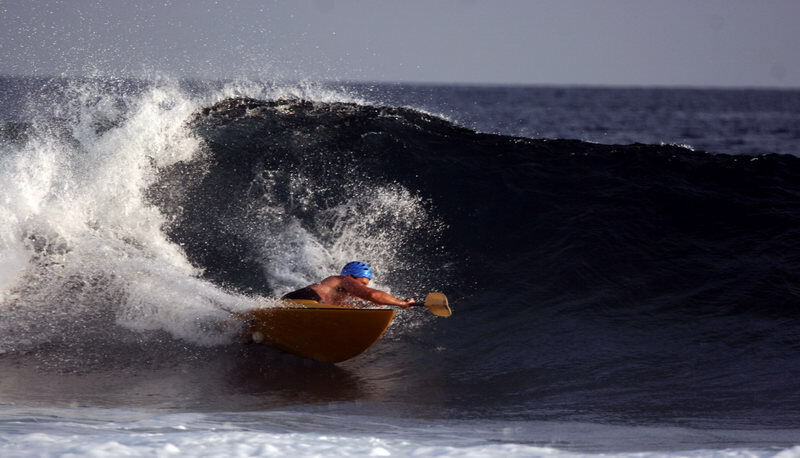 There was a good entry in the Junior and Masters, and these classes were as competitive as the Men's long boat always is. New arrivals were very welcome and we look forward to seeing people again at future events. 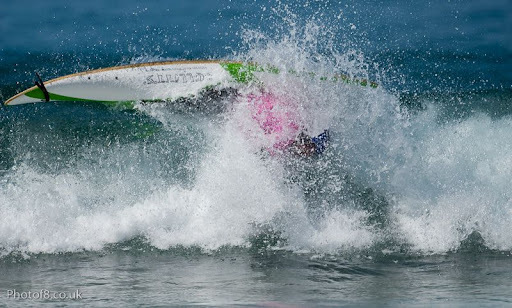 Everyone surfed at least two heats in each class. 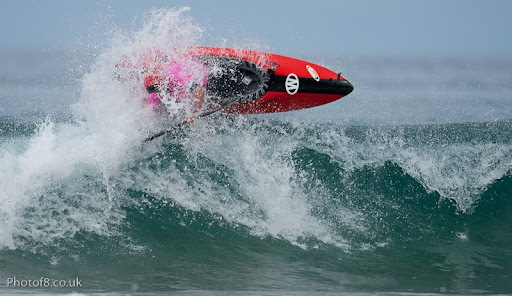 In a day of very competitve heats, the Masters final stood out as a great display of surfing and workrate from all four finalists - any of whom could have taken the win. 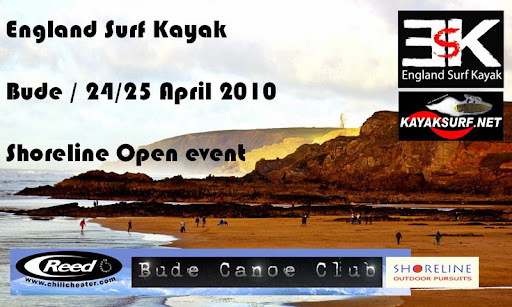 Thanks to organisers for the two days - Simon Hammond (Shoreline), Steve Davenport, Louise, Michelle, Andy Hambley and friends from Bude Canoe Club. And special thanks to all participants for helping the event run smoothly by being on time and ready for heats and for judging. 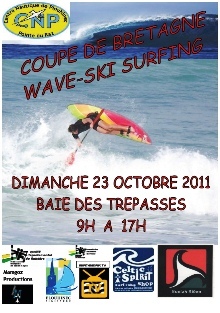 MUNDAKA KAYAKSURF CHAMPIONSHIP 2010 / 1st REPORT!! 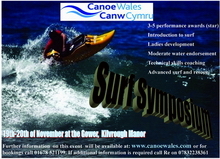 Em cima do acontecimento, Tim Harvey - kayaksurf.net PARTNER - enviou-nos as primeiras fotos directamemte do País Basco. 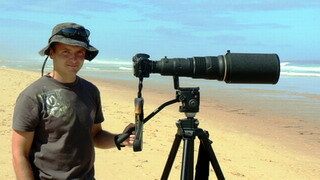 Nas imagens, Adam Harvey e Dave Du Port treinam nas ondas Bakio esta quinta feira. Poucas ondas mas, mesmo assim, Tim sacou grandes fotos aos craques da ilha de Guernsey. 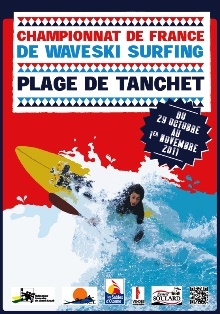 Entretanto, ainda agora falámos com o Team Watertech (ainda a caminho) e com Txema Carreto - um dos organizadores do evento. 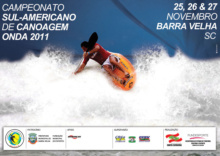 Está tudo a postos para a competição iniciar amanhã!! Esta foi mais uma prova que decorreu no passado fim semana (tivemos provas na Argentina, EUA, Brasil, Inglaterra e Irlanda!). 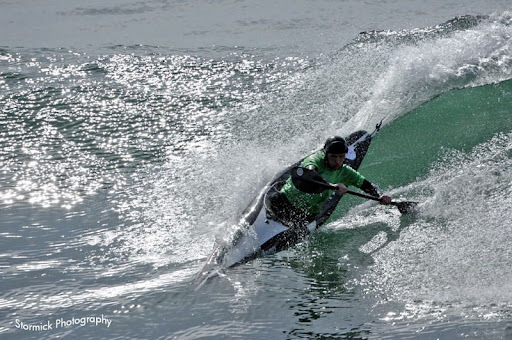 O surf report de Brendan de Morgan O'Sullivan dão-nos todos os ecos de mais uma iniciativa do circuito de kayaksurf irlandês que conta com o patrocínio da Watertech. 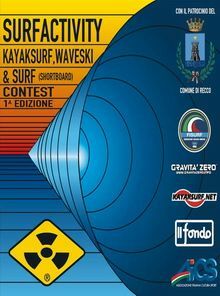 One more contest was run last weekend (we had in the same date kayaksurf & waveski contests in Argentina, USA, Brazil, England and Ireland!). 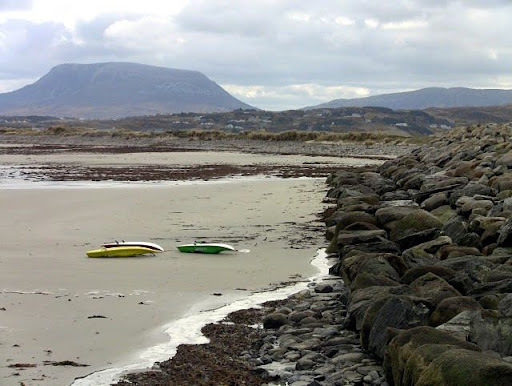 The surf report is from Brendan and Morgan O'Sullivan. 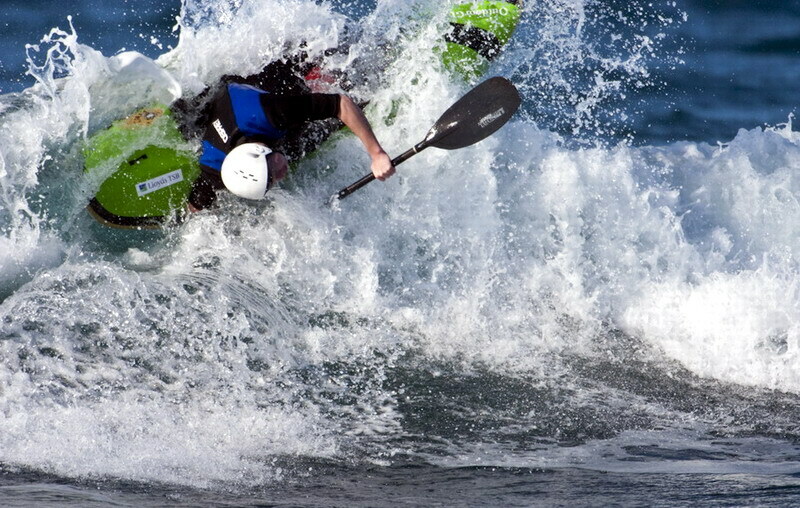 We recall that the irish kayaksurf and waveski circuit is sponsored by Watertech. 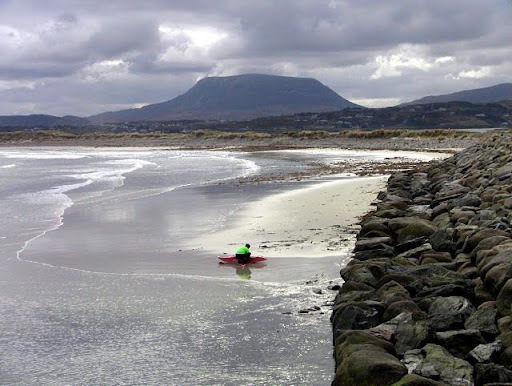 Last Saturday saw a small but committed group gather in the far north of the country, in Magheroarty, for the second paddlesurf competition of the year. 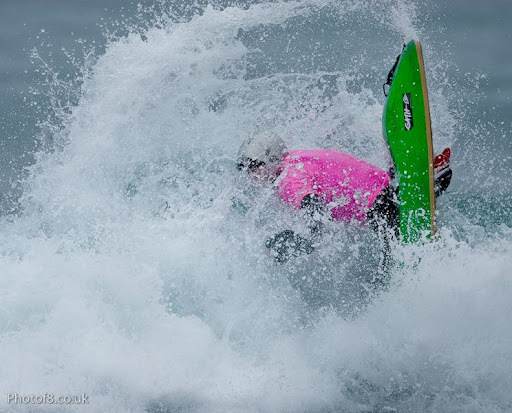 Marty McCann had called the conditions well and while the rest of the country basked in glorious sunshine, we huddled together in and around his van, trying to stay out of the rain, though unlike the rest of the country, we had some swell! 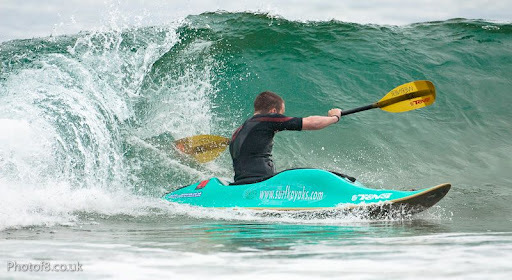 The reef break was working, perhaps not quite to its’ full potential, but certainly providing a workable wave and the sets in particular had some long waves with sections suitable for floaters and lip smashes. 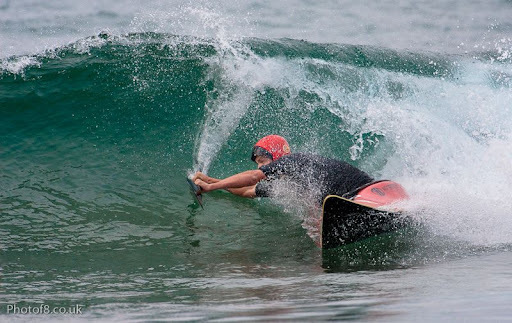 The event got started with the Short Boat competition, and some good rides were had. 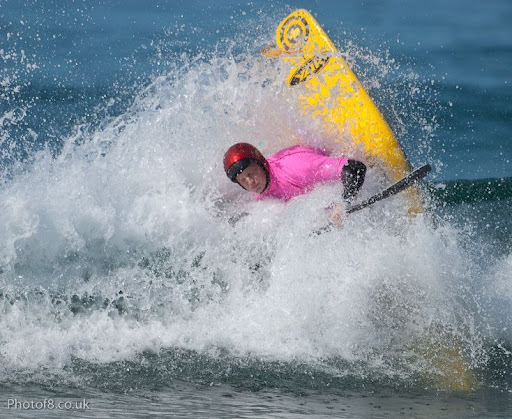 Richard Hobson and Lawrence McBride caught some great waves and showed why the lads from the North are doing so well internationally. Conor also rode very well and is definitely a name to be watched. The final consisted of Richard Hobson and three juniors – Eoin Keyes, Conor, Ciaran. A particularly cruel individual remarked that Richard had more years than the other 3 put together!! The results are as below. 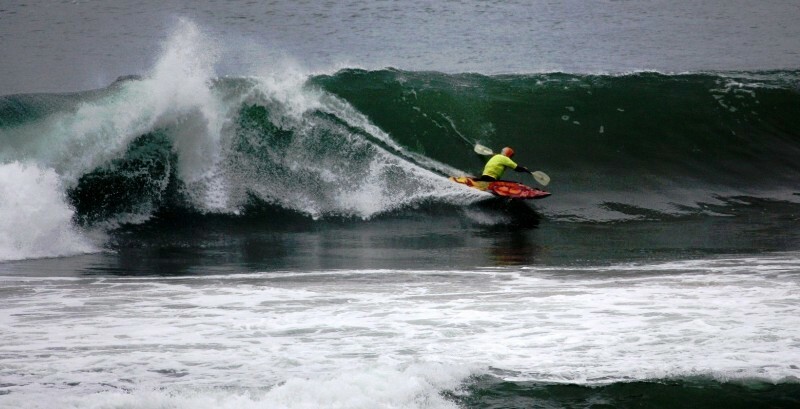 In the long boat category Richard Hobson gave a demonstration of the kind of smooth aggression required to win and took home first from Eoin and Richard G.
The waveskis came last and it was straight to the final as only 4 hardy souls (idiots/deviants!!) went out. 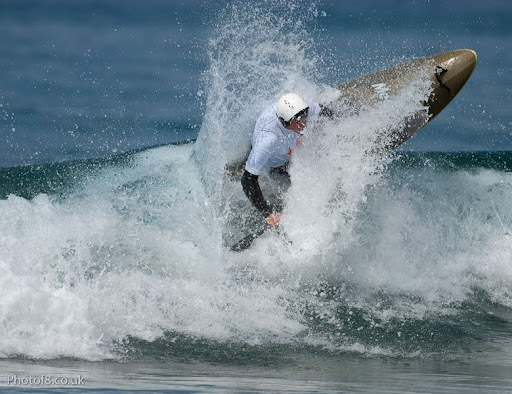 As with the other heats it was all about wave selection, a couple of notable rides were had, local boy Marty McCann, who seems to be able to generate speed out of nothing, found enough go to get some floaters and throw in some awesome cut-backs. Next in the order came Guillaume who has obviously been spending a lot of time on his new ski, he rode extremely well to claim second. (Good stuff!) 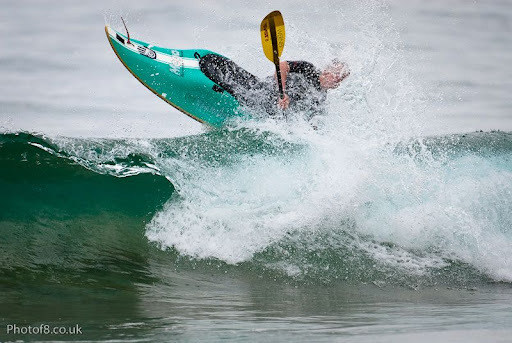 It must be noted that Aisling Griffin was the only girl at the event and she rode well, and consistently improved through the weekend – watch this space as she spends more time in the surf. 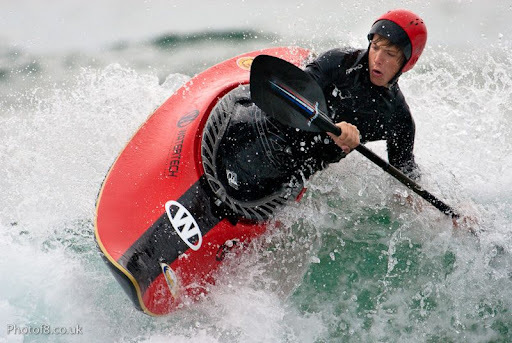 Please remember that Watertech have generously promised a kayak as the prize for overall (best newcomer) for the year and Munster Dive and Canoe are also onboard with prizes for the other categories. Lastly, there may be a 4th ranking event added to the calendar so keep an eye on the site and your e-mail. 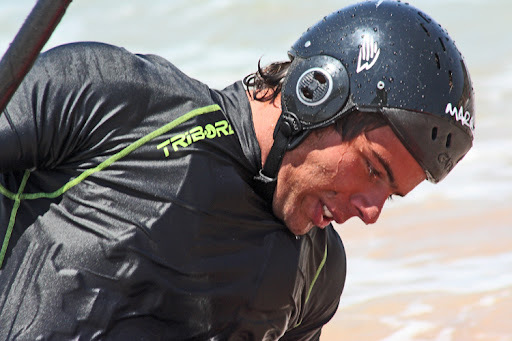 Para além dos nomes que já confirmámos este ano em Mundaka (Watertech Team), acrescentamos agora à lista mais algumas presenças devidamente registadas. 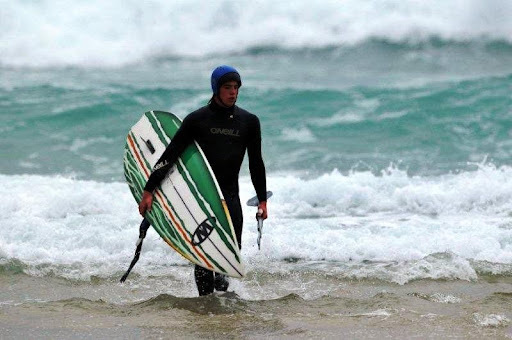 Em peso estará certamente todo o team basco (Txema, Oskar; Luís, Edu, Urko, Ainhoa, Xabi, etc) e da Irlanda do Norte, Dessie também nos confirmou que irão 8 ou 9 kayaksurfistas. 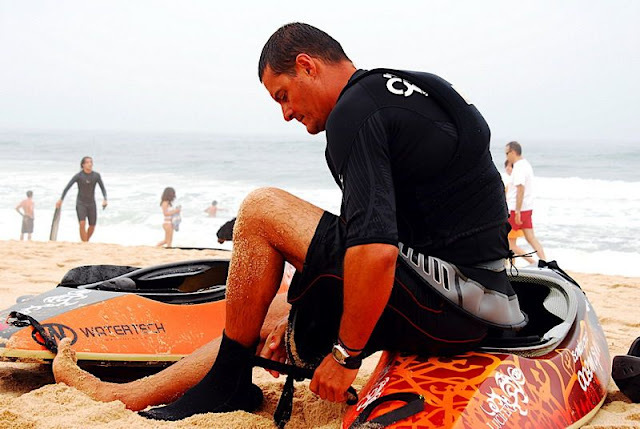 Confirmada também, está a presença de Tim Harvey - esse mesmo - o autor das melhores foto-reportagens do Mundial de Kayaksurf 2009 e vencedor da Melhor Foto 2009 publicada no kayaksurf.net (eleita pela nossa NEWS TEAM). 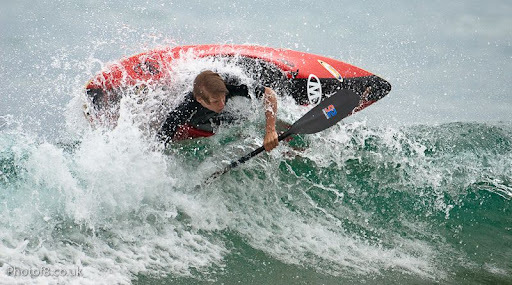 Mas vamos a mais algumas presenças (bem conhecidas do kayaksurf.net) que estarão no próximo fim de semana na prova de kayaksurf de Mundaka oriundos da Irlanda do Norte, Guernsey, Galiza e Brasil. 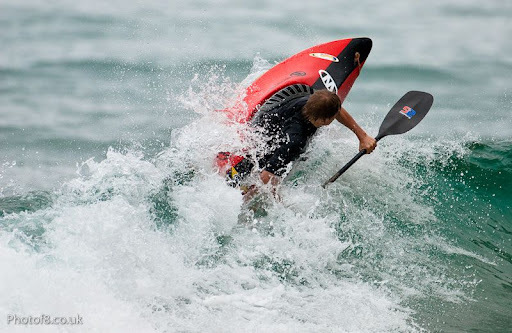 Besides all the names that we already confirmed - Watertech Team - and all the Basque Country Team (Txema, Oskar; Luís, Edu, Urko, Ainhoa, Xabi, etc), here are SOME more confirmations for Mundaka 2010. 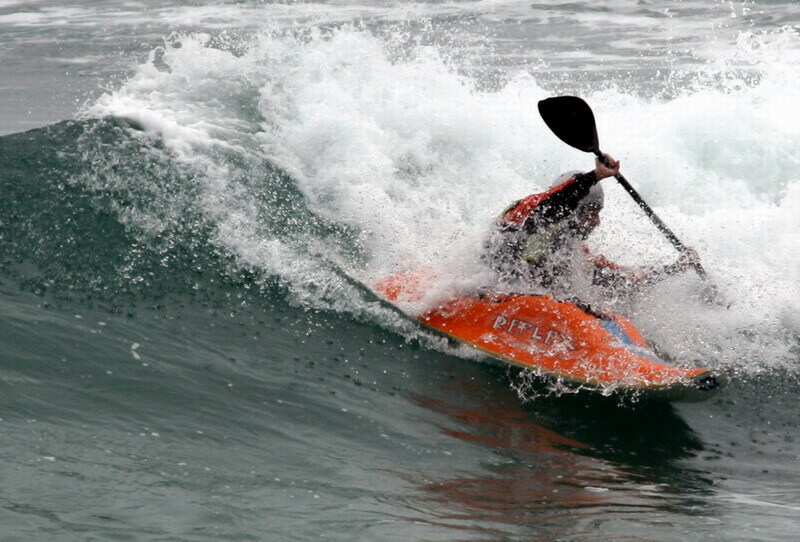 Dessie also said us that, from Northern Ireland Squad, will go 8 or 9 surfkayakers!! 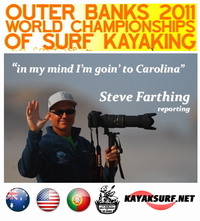 It's gonna be epic ;) More great news, is the presence of Tim Harvey, author of the best Kayaksurf Worlds 2009 photo reports and winner of the Best Photo Kayaksurf.net 2009 (voted by our NEWS TEAM)! Stay now with some of the people that you'll see in Mundaka next weekend from Guernsey, Galiza, Northern Ireland and Brazil.